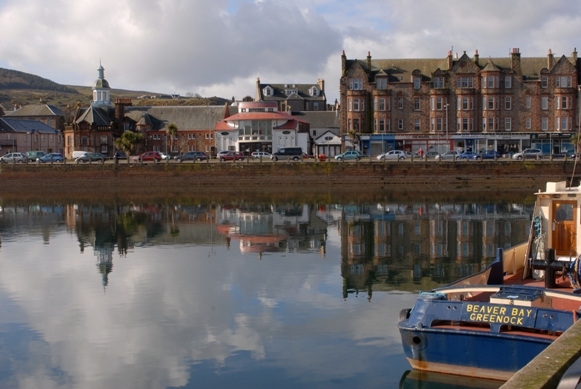 The town of Campbeltown was once home to more than 30 distilleries. Today it is home to just three: Springbank, Glen Gyle and Glen Scotia. Whiskies from Campbeltown tend to have a little peat and salt to them and are generally medium to full bodied. This is the old presentation of Glen Scotia 12 years old which was available until 2013 when a 46% version stepped forwards. This Glen Scotia is a early 1980’s distillery bottle, produced before the 1984 shutdown. Glen Scotia 1992, individually selected and bottled for the Signatory Un-chillfiltered collection in November 2004. Limited to 775 bottles, cask #304. Glen Scotia 16 years old, distilled in 1992, bottled in 2008 for Douglas Laing. Limited to 257 bottles. Glen Scotia 1992, aged for 17 years in Chateau Climens Casks, bottled at the Bruichladdich Distillery in 2009 for Murray McDavid. This is a limited release of 2500 bottles. Hazelburn 12 is a triple distilled whisky, introduced in 2009 as a limited release of 3900 bottles. Kilkerran Work in Progress I, released in 2009 in a limited edition of 9000 bottles. Kilkerran Work in Progress 2. This 6-year old Kilkerran was released in 2010 as a limited edition of 15.000 bottles. WIP is a annual release whereby each new edition is another year older then it’s predecessor. Kilkerran Work in Progress 4. This 8-year old Kilkerran was released in 2012 as a limited edition of 9.000 bottles. WIP is a annual release whereby each new edition is another year older then it’s predecessor. Kilkerran Work in Progress V. This 9-year old Kilkerran was released in 2013 as a limited edition of 9000 bottles. WIP is a annual release whereby each new edition is another year older then it’s predecessor. Kilkerran Work in Progress 6, released in 2014 as a limited edition of 9000 bottles. This is the first release of 10-year old Longrow, the peaty Campbeltown. Longrow 100 Proof is the, discontinued, full proof version of Longrow’s regular 10-year old whisky. Longrow 1991 is a 10-year old distillery bottled Campbeltown Single Malt, released in 2001.